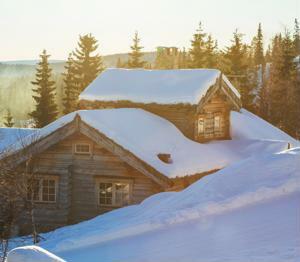 A number of economic conditions could have been affected by the winter, including the U.S. housing market. Piles of snow and freezing temperatures may be to blame for more than an outpouring of winter coats and scarves. In fact, a number of economic conditions could have also been affected by this season, including the U.S. housing market. According to the National Association of Realtors, total existing-home sales declined 5.1 percent in January compared to levels reported in December. This includes all transactions of single-family homes, townhomes, condominiums and co-ops. In addition, foreclosed houses accounted for 11 percent of all January sales, while short sales comprised only 4 percent. "Disruptive and prolonged winter weather patterns across the country are impacting a wide range of economic activity, and housing is no exception," said Lawrence Yun, chief economist at NAR. "Some housing activity will be delayed until spring. At the same time, we can't ignore the ongoing headwinds of tight credit, limited inventory, higher prices and higher mortgage interest rates. These issues will hinder home sales activity until the positive factors of job growth and new supply from higher housing starts begin to make an impact." Even though recent sales figures have been less than ideal, there appears to be an increase in the amount of homebuyers interested in the market. Redfin's January 2014 Real-Time Bidding War Report found that competition heated up during the month, although levels still didn't hit peaks felt in 2013. In the 22 markets reported on by Redfin, bidding wars increased across all of them. Real estate agents noted a 58.1 percent uptick in multiple offers on a single listing in January, higher than the amount in December. In addition, 22 percent of homes sold above the asking price. As the homebuying season starts to get underway, real estate agents should be prepared with the best possible information on their markets. With Courthouse Retrieval System, that data is easy to reach, including mortgage records, warranty deeds and much more.